Tech startups contribute new and innovative products and services to the market and they come with their own unique set of needs when it comes to insurance. At one time it was difficult to find targeted insurance for your tech startup but, luckily, information technology insurance has come a long way since then. Don’t make the mistake of taking out a generic insurance package for your startup and hoping for the best – instead, take a closer look at the specific cover your business may need. One of the most important forms of cover for tech startups is a policy to protect against cybercrime. Unfortunately, cybercrime is all too common in Australia as hackers take advantage of any vulnerabilities they can find. However, it’s also an area which is commonly underinsured. Not only can a data breach have a significant impact on client confidence, it can also be costly when your business needs to deal with the aftermath. Cybercrime insurance will protect you financially against the impact of cyber attack and is essential for your tech startup. 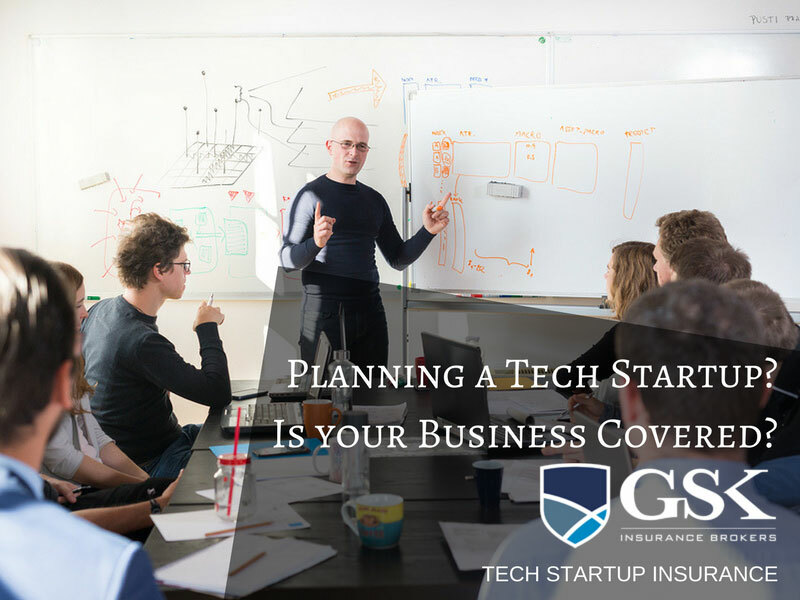 For a lot of tech startups, you might not have that much equipment to start with but it still needs to be protected with the right insurance cover. Make sure you have cover in place for fire, theft and property damage, along with protection against equipment breakdown. Along with protecting your property, you also need to protect your employees with workers compensation insurance. This cover is compulsory in Australia and means that if an employee is successful with a workers compensation claim, you’ll be reimbursed for the associated payments to the employee such as wages and medical bills. Although almost every business knows that important of having public liability insurance in place, tech startups also need to consider specific IT liability cover. This policy offers financial protection to businesses in the IT industry against claims relating to failure of your IT products, advice or services. IT liability gets rid of the uncertainty that can occur with IT related claims where insurers are unsure which policy the claim falls under by offering a specific policy. When it comes to information technology insurance brokers, at GSK Insurance Brokers we understand the specific risks that IT professionals face in your day to day work. We’ll create a tailored insurance package which covers all of your areas of risk for ultimate peace of mind. With GSK Insurance Brokers, our service continues well beyond the initial stages of taking out your policy – if you have any questions along the way, just give your broker a call! For information technology insurance quotes, speak to the team at GSK Insurance Brokers today on (08) 9478 1933.